Why is Trump bullying US allies in Europe? US Senator, John McCain, said that Trump’s behavior was: “disappointing, yet unsurprising… they are the words of one man. Americans and their Congress still believe in the transatlantic alliance.” John Kerry, a former US secretary of state, said Trump’s comments about Germany were: “disgraceful, destructive and counter to US interests.” Trump is accused of being rude, but the fact that his Party and a faction of the big capitalists in the US backed him for President indicates a purpose. Trump’s verbal assaults on European leaders are not for the sake of simply increasing defense spending. The Europeans already agreed to increase spending, and Trump’s claims that the US is paying an unfair share are false. The US is targeting the European Union because it is becoming too strong, not because it is too weak. The day before the NATO summit, the European council president, Donald Tusk, sent a message: “Dear America, appreciate your allies. After all you don’t have that many.” This message came after the European Union scored a diplomatic victory in Europe securing increased access to NATO strategic resources. 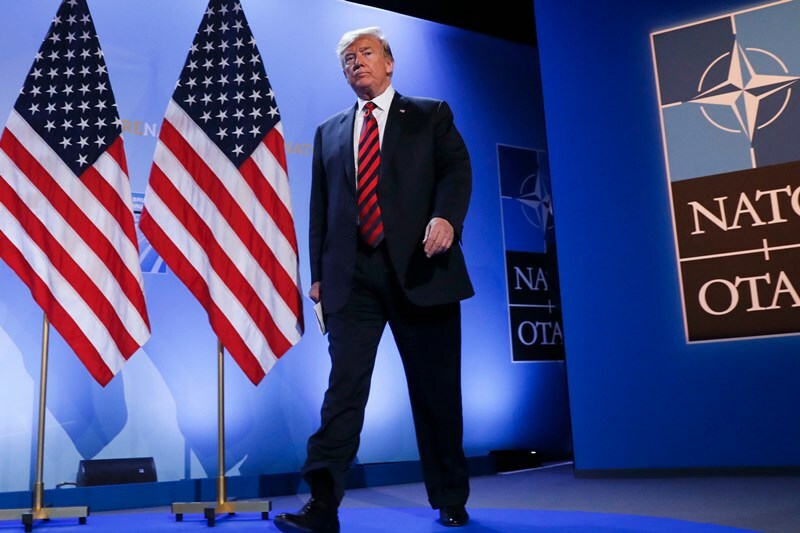 Since the Warsaw meeting in 2016, the EU has been strengthening its role in NATO as a collective body rather than individually as the US wants. This is why Trump is making ever more impossible demands of them, such as suddenly asking them to pay 4% of their GDP after they agreed to pay 2% and to increase spending more quickly, and this is why he undermines and humiliates their leaders. With Trump being presented as a Bad Cop , America is cunningly protecting its interests while the ones allotted the characters of Good Cops -Senator, John McCain, John Kerry, the former US secretary of state etc , are actually to act ‘keeping the room open’ for damage control if there arise a need for it in future. Such is the double face of the Capitalist Ideology throughout the history and today everywhere & all the time. Previous PostKenya’s 2018/2019 Budget is Tightened Nooses on the Necks of Despaired Citizens!